1. Start out going North on Pena Blvd. 0.2 miles. 2. Turn slight right toward Terminal east. 1.9 miles. 3. Stay straight to go onto Pena Blvd. 3.4 miles. x xtoward Ft. Collins. 0.9 miles. 5. Merge onto E 470 N (Portions toll). 6.3 miles. 6. Merge onto I-76 E via Exit 35 toward Ft. Morgan. 106.7 miles. x xtoward Holyoke. 0.3 miles. 8. Turn right onto US-6. 84.0 miles. TIME: 3 hours, 37 min. 1. Start out going west on US-30 toward NE-56G Link. 1.6 miles. 2. Turn left onto NE-56G Link. 1.7 miles. 3. Merge onto I-80 W. 52.1 miles. 4. 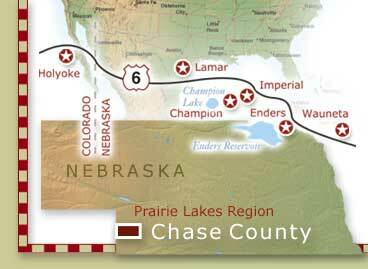 Take the US-26/NE-61 exit- Exit 126 – toward Ogallala. 0.3 miles. 5. Turn left onto US-26/NE-61. Continue to follow NE-61. 19.3 miles. x xNE-23 /NE-61. 2.9 miles. 7. Turn slight right. 0.1 miles. 8. Turn slight right onto NE-61. 22.9 miles. TIME: 1 hour, 55 min. 1. Start out going south on Airport Road toward E J ST. 0.7 miles. x xUS-34 W/US-6 W. 15.5 miles. 3. Turn slight right onto US-6 W. 47.8 miles. TIME: 1 hour, 31 min.